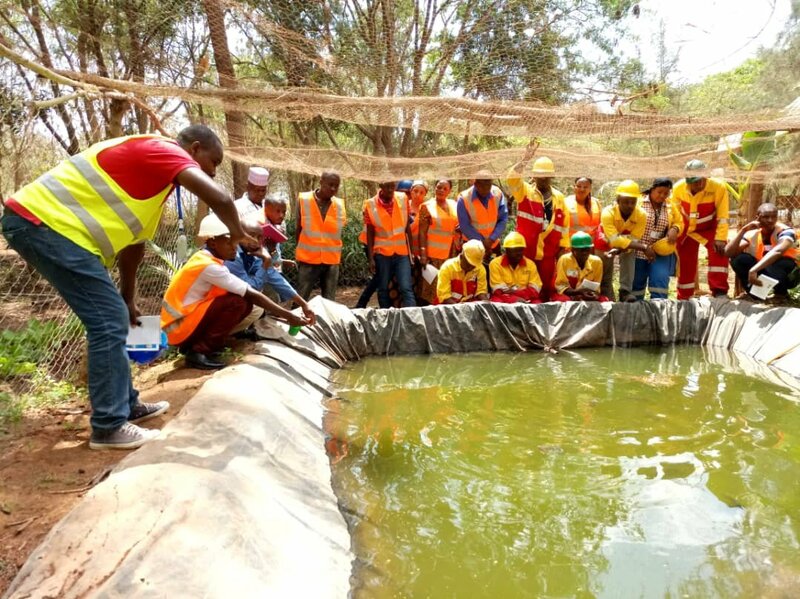 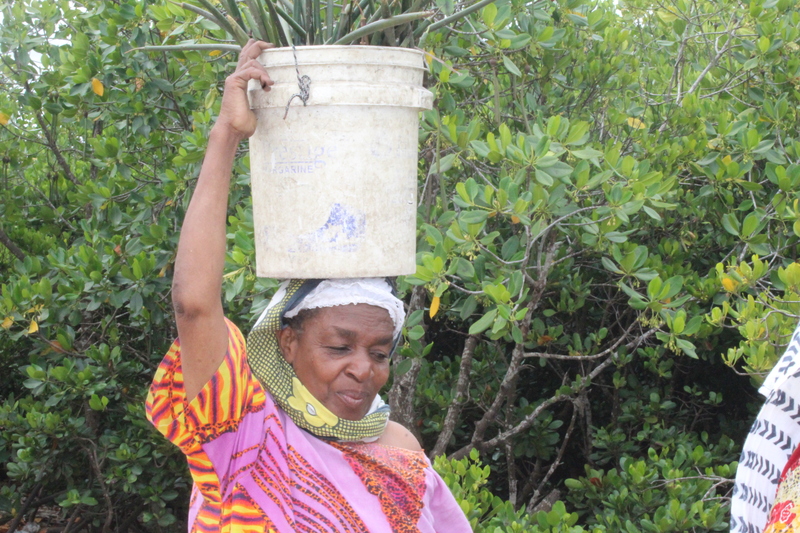 Since March 2018, we have been able to collaborate with the Mbweni community through the beach management units, Wanawake Mazingira Group and a number of partners in assuring the desired goal of 10,000 Mangroves for 100 years of carbon offset. 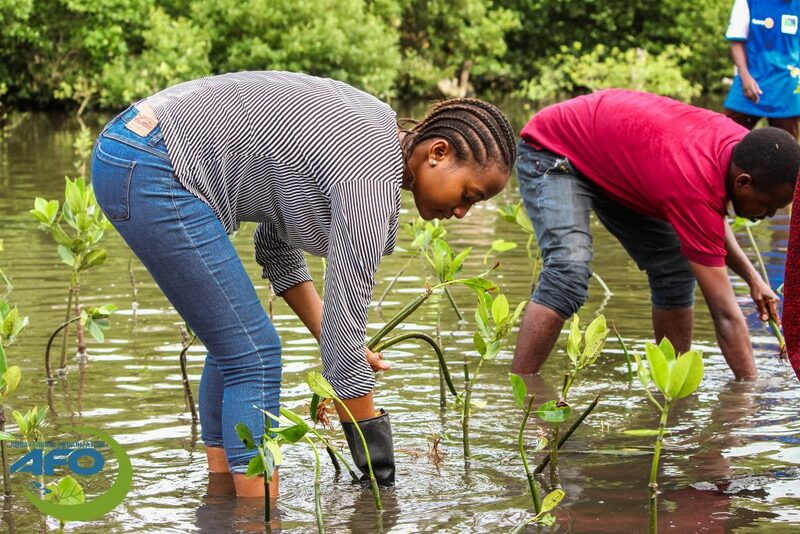 Mbweni Mangrove forest is a vital periurban forest just at the edge of Dar es Salaam and Coastal region, and there is a degraded area as a result of El Nino of the late 1990s, where a lot of waterlogged at the mangroves and nearly 2 acres died. 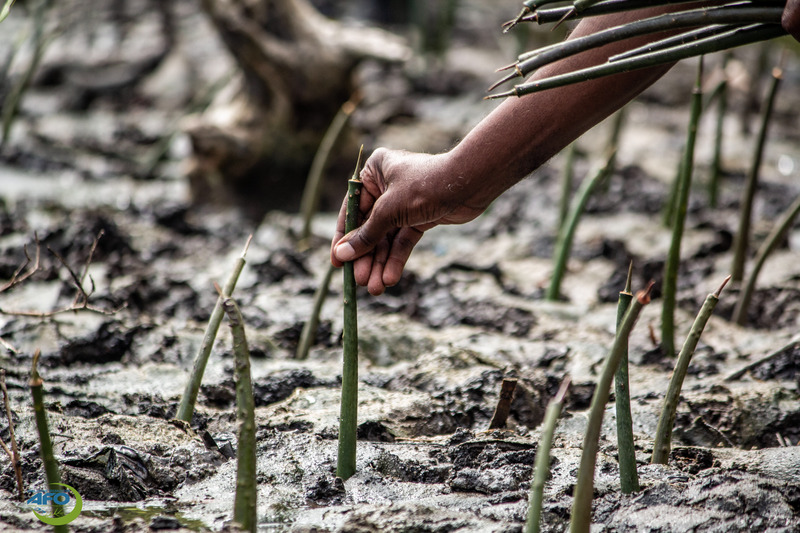 We are restoring the degraded part of Mbweni mangrove forest with 10,000 Mangrove seedling through community-based restoration, since March 2018 and up to the moment we have restored 5200 seedlings. Meanwhile, as the project aimed at supporting alternative livelihood for the Mbweni community, modern beekeeping has been enrolled as a part of sustainable harvesting of this forest, where on February 9th, AFO and the collaboration organizations supported the women of Wanawake mazingira group 4 beehives, a protective suit and smoker for harvesting honey. 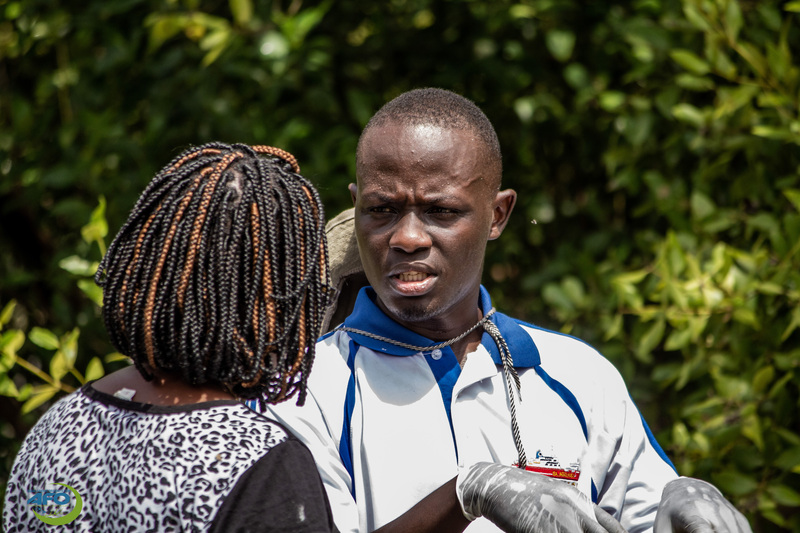 Beekeeping will add value to Wanawake mazingira group is a source of food and income hence is a potential economic activity thus it is a substitute for destructive economic activities, but also enhance the sustainability of the restoration programme. 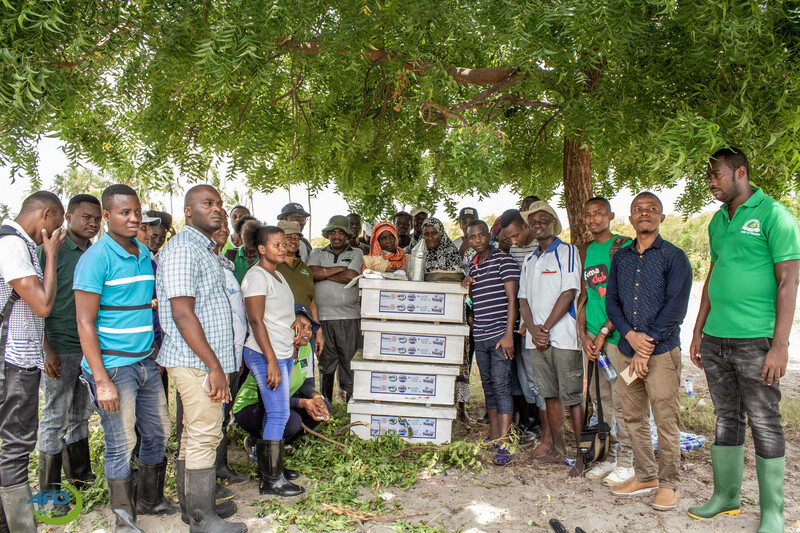 The Director of Tanzania Forest Services Zawadi Mbwambo said that TFS recognizes the efforts done AFO and the cooperating organizations, he also promised to add 50 bee hives to the women group so as the project can be scaled at a greater economic output. 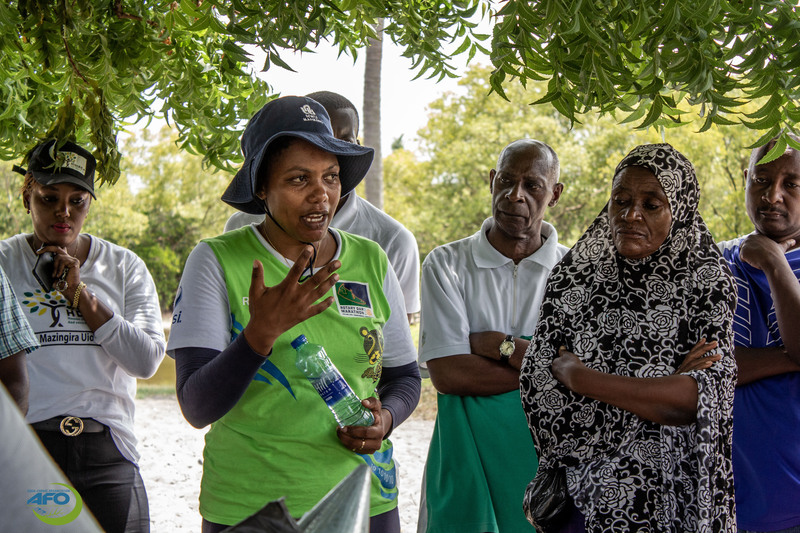 Furthermore Dr. Lulu Tunu Kaaya current President from Rotary club Mlimani of Dar es Salaam said That the community around Mbweni is now developing ownership and responsibilities of conservation and protecting the mangroves, the support of alternative option on how the community can harvest the output from this forest will change and the conservation process and be of historic action over generations; She also insisted on basic training to the women on sustainable modern beekeeping where the College of Agricultural Sciences and Fisheries technology of The University of Dar es Salaam, will deeply support. 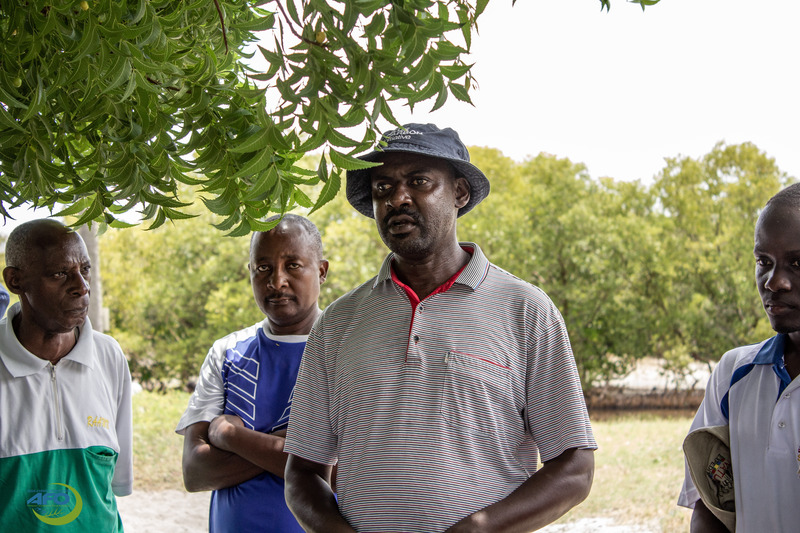 Lastly AFO Director Mr. Jerry Mang’ena said that, the success of restoration at the El Nino degraded, area of Mbweni will be used on prospecting the programme to carbon offset initiative where we will quantify the amount of carbon that is offset the mangrove forest at Mbweni and involve the carbon producers and other counterparts in establishment of blue carbon credit where the income will then be used to support alternative energy sources, and utilization of coastal forests, We will deeply depend on Experts and involvement of more stakeholders in making a success to this. 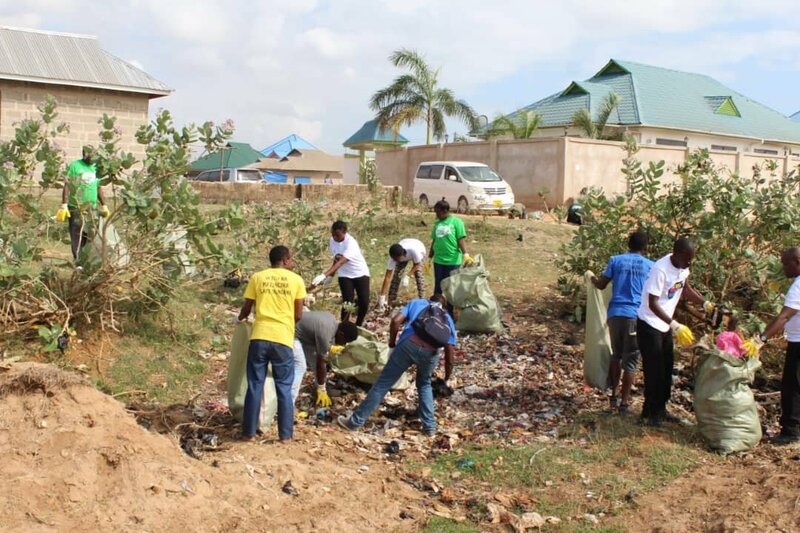 We are making an impact, You or Your organization can make an impact too through the Mission Green Initiative.